Speedy, our 4-year-old turtle, will be the guest of honor er presented by my son at his school’s Science exhibit today. It would be Speedy’s third year to grace the occasion. 🙂 I think Speedy has grown a bit since I posted about him on this blog. 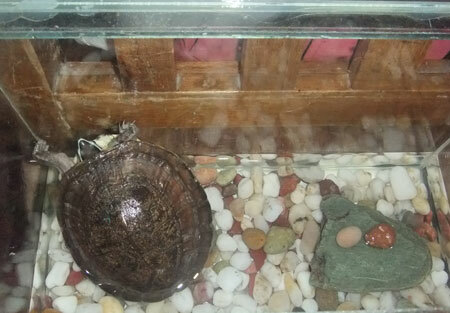 This entry was posted in Pets and tagged pet, speedy, turtle on September 27, 2012 by Yami.